As a child I learned all about Noah’s Ark in Sunday school just like many of you. I was taught that God instructed Noah to build an Ark because of the coming flood. I remember pictures of the Ark floating on a vast ocean of water. 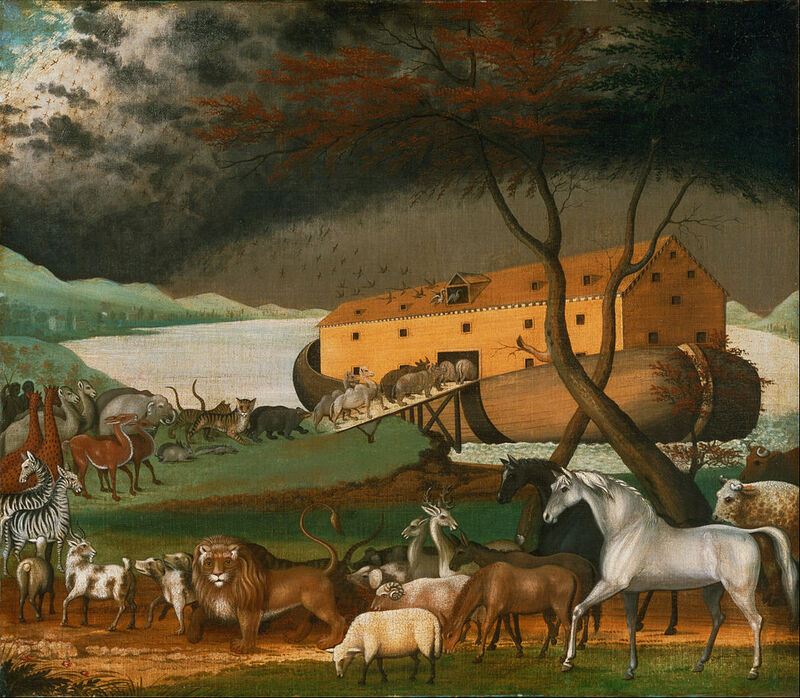 Once the water subsided, Noah and the animals left the Ark and the world began once again. Great story….but there is a very important element left out. The truth of the matter, as most of you know, is that the Bible reveals in Genesis 6 that a group of Fallen Angels invaded Earth, abducted human women, and began a genetic experiment which ended in disaster for both the Fallen Angels and most of the human race. The Fallen Ones were consigned to Tartarus, and except for the family of Noah, millions of genetically corrupted humans and animals were utterly destroyed. The cause of all this: “And GOD saw that the wickedness of man was great in the earth, and that every imagination of the thoughts of his heart was only evil continually” (Gen. 6:5). The text goes on to state that God was “grieved in His heart” that He had even made man. That is an incredible statement because when He created mankind He “blessed them,” and He also said the animals were “good” (Gen.1: 25-26). What happened? The difference between Genesis chapter 1 and chapter 6 is that sin entered the world and began its corrupting work upon the race. 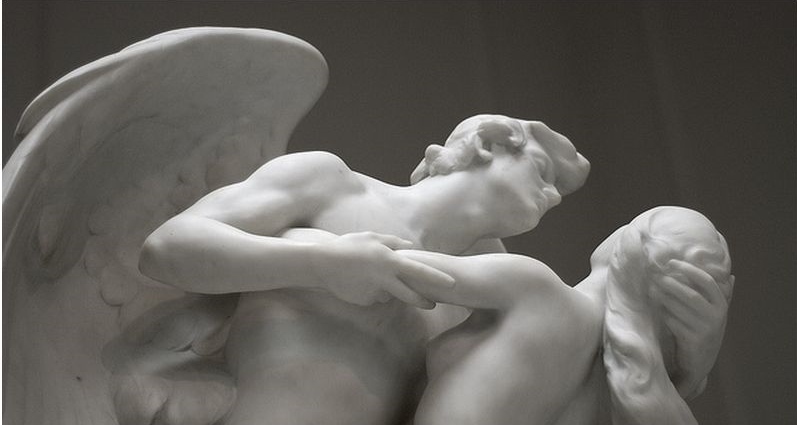 But something else also happened: the Fallen Angels invaded Earth. They took advantage of humanity and brought an additional influence which deeply corrupted the genetic structure of both man and beast. This resulted in the creation of an artificial form of life not intended by the Creator. The resulting consequences created the Nephilim, a corrupt hybrid creature, a chimera. Why does God include the animals here? Humans are the only life on Earth morally accountable to God. Could it be that the Fallen Ones genetically corrupted the animal life as well. Other ancient texts such as the book of Enoch and Jasher actually state that is what happened. While I usually don’t quote from apocryphal texts, (they certainly are not inspired like the biblical texts), in this instance I feel that it is appropriate for what I would like to communicate in this blog post today. Jasher 4:18: And their judges and rulers went to the daughters of men and took their wives by force from their husbands according to their choice, and the sons of men in those days took from the cattle of the earth, the beasts of the field and the fowls of the air, and taught the mixture of animals of one species with the other, in order therewith to provoke the Lord; and God saw the whole earth and it was corrupt, for all flesh had corrupted its ways upon earth, all men and all animals. (Emphasis added). Obviously when God created humans and animals He created them to reproduce “after their kind.” In other words, cows begat cows, and mice begat mice, etc. There is a built-in natural genetic barrier preventing the intermingling of genetic material from one species to another. The Fallen Angels, already lost, and in a permanent state of rebellion against the Creator, invaded Earth and began to genetically tamper with both humans and animals. That is precisely why the biblical text quotes God as saying, “And God looked upon the earth, and, behold, it was corrupt; for all flesh had corrupted his way upon the earth” (Gen. 6:12). As reported on Lifenews.com and other news sites, Planned Parenthood is very busy dissecting aborted human babies and selling the parts, pieces, and intact organs to various bio labs, who are then splicing the harvested organs into laboratory mice and rats. Think about the implications! If this is what genetic scientists are doing in the open, what are they doing in thousands of private labs around the world? We already know that genetic scientists are intermingling genetic material of one animal into another animal. In fact, as reported a few weeks ago, a genetically modified lamb containing a jellyfish protein was accidentally sold into the markets in France. To use animals is one thing, but to intermingle the genetic material of aborted human babies with mice or rats takes the whole business into a deeper level of depravity. That is what the Fallen Ones did during the Days of Noah. Jesus predicted that the same type of conditions which existed during the days of Noah would exist once again at the time of His Second Coming. Luke 17: 26: And as it was in the days of Noah, so shall it be also in the days of the Son of man. Is it possible we will see the rise of human animal chimera’s? 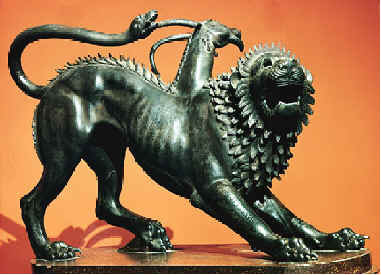 In Greek mythology a chimera was an animal composed of the parts of various creatures, such as a lion with a goats head on its back, or a snake-like tail. While that type of creature is regulated to mythology, it is not beyond the reach of certain geneticists to mix human genetic material with animals. But what about the reverse? Is it possible that geneticists are busy mixing animal genes with humans? Has this already been done? Will we have humans with the genetic traits of various animals: enhanced eyesight, increased strength and stamina, modified thinking and reasoning powers? What happens when the aliens show up as predicted in the bible? The Prophet Daniel predicted that “they” (the Fallen Ones) will once again superintend the genetic modification of humans with the seed of the serpent. Daniel 2:43: And whereas thou sawest iron mixed with miry clay, they shall mingle themselves with the seed of men: but they shall not cleave one to another, even as iron is not mixed with clay. In my book Alien Antichrist I go into detail about this verse; it proves that the genetic program started by the Fallen Ones thousands of years ago during the days of Noah will resume once again under the authority of the Antichrist. The kingdom of the Antichrist will be the Kingdom of the Beast. No wonder the last kingdom on Earth before the return of the Messiah is called Mystery Babylon (Rev.18). Ancient Babylon was known for its dedication to idolatry and the wickedness associated with such activity. John predicts that the Kingdom of the Beast will be a kingdom also addicted to idolatry: and even more so. The citizens of Mystery Babylon will worship the Beast, the Dragon, and a multitude of devils represented by idols of gold, silver, brass, stone, wood (Rev.9:20). Indeed, the power of idolatry in the Kingdom of the Beast will run so deep that even when the judgment of God is falling down all around, the people of that time will NOT REPENT. That is because the deception will be so fantastically powerful in Babylon the Great. And the Kingdom of the Beast will “become the habitation of devils, and the hold of every foul spirit, and a cage of every unclean and hateful bird” (Rev. 18:2). In the end Babylon the Great will be a kingdom of genetically modified Beast worshippers. I can imagine that genetic modification in the last days will have profoundly deep consequences. Jesus was right. The last days before His return will be a replay of the days of Noah. Hello Mr Wingo! I still remember the day I met you & your family at the Earthworks in Heath. I so appreciated you & your family taking time to pray with my husband & me.I keep checking Youtube to see if you’ve posted anything. God bless & keep up the Good Word!!! Thanks Carol, it is good to hear from you! It was nice to met you and your husband as well. And thanks for your wonderful comments. ¶ 14:17 Even the Spirit of Truth; Whom the world cannot receive, because it seeth ℋim not, neither knoweth ℋim: But ye know ℋim; for ℋℰ Dwelleth with you, and shall be in you.